Having Emergen-C on hand this time of year is great. 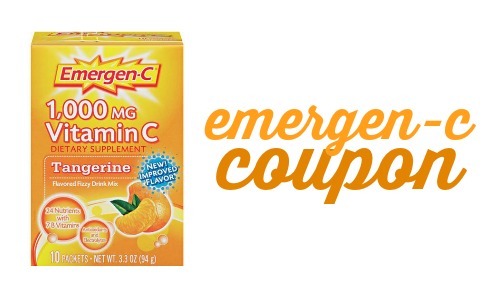 You can head to Target to combine a gift card deal with a printable Emergen-C coupon and a Checkout 51 offer to get (2) boxes of Emergen-C drink mix for FREE! Makes it FREE with an 82¢ moneymaker! This offer is valid through 12/31.